I started by taking some red cardstock as a base and then layered gold glitter paper and white cardstock on top of it. Then I die cut C9's Take a bough a few times out of green cardstock and cut them in half. I stamped the sentiment from an older Stampin' Up set in versamark and the embossed it in gold. I took the die cuts and played with them until they layered like garland over the sentiment. I finished it off with some ribbon bows and stamped little stars from Lawn Fawn's Merry Messages in gold ink. 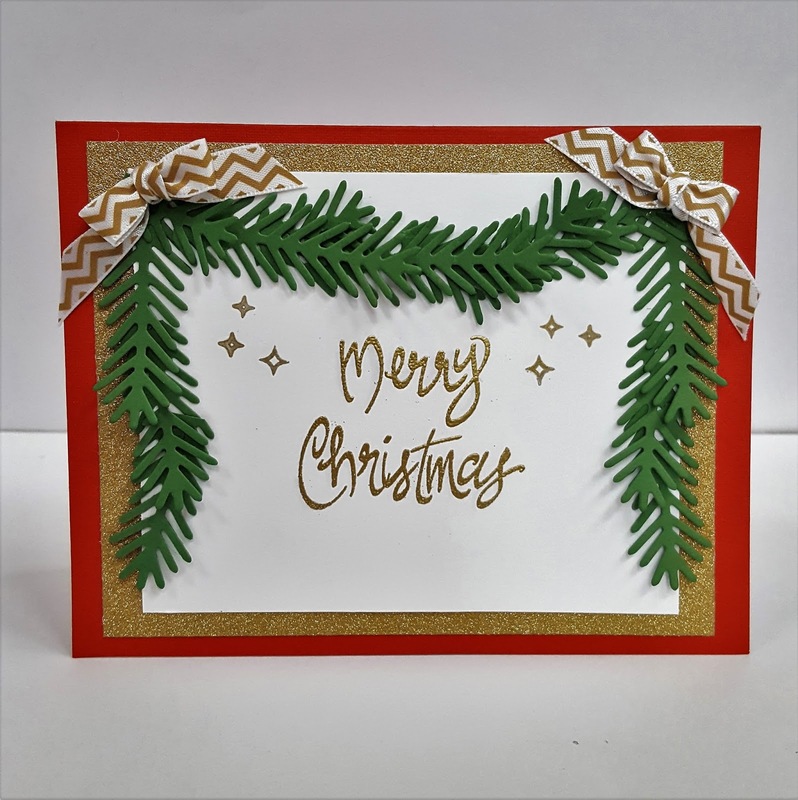 I am sharing this card in Merry Monday's challenge #242. Lovely card for our branches challenge. Thanks for joining us this week at Merry Monday. Love your garland of branches, Cheryl! Very festive!